I have been working on this quilt on and off for a few weeks. I was mostly cutting and piecing the stacks of rectangles, but last weekend I sat myself down and pieced all of the blocks and finished the quilt. 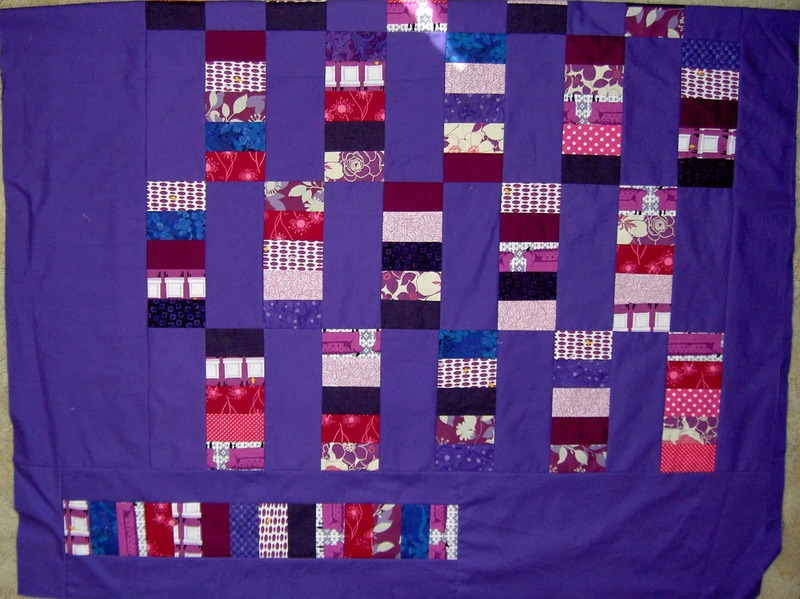 I did something different on this quilt, which was making an assymmetrical border. I made a large stack of rectangles for the bottom and the side of the quilt. 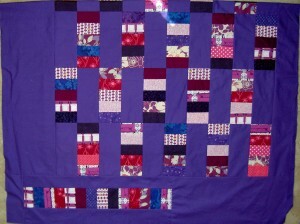 The piecing wasn’t difficult, but the cutting and the figuring out of how many fabrics to use was a challenge. I started off with a Birch Bundle from Birch Fabrics/FabricWorm. I ended up adding a few fabrics from my own stash. I had to add still more fabrics from my stash for the back. 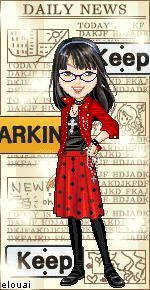 This will be a gift, but I don’t want to say for who until the gift is given. I have to say that I felt the same way I felt when I made Passionate Purple. The purple on the design wall was depressing. I needed to get this quilt done, because it was too dark and was making my workroom depressing. 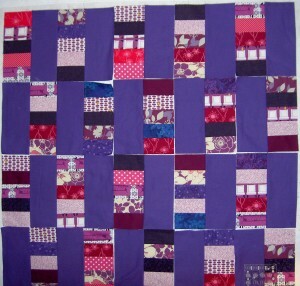 It could be that I seem to do purple quilts in the winter. 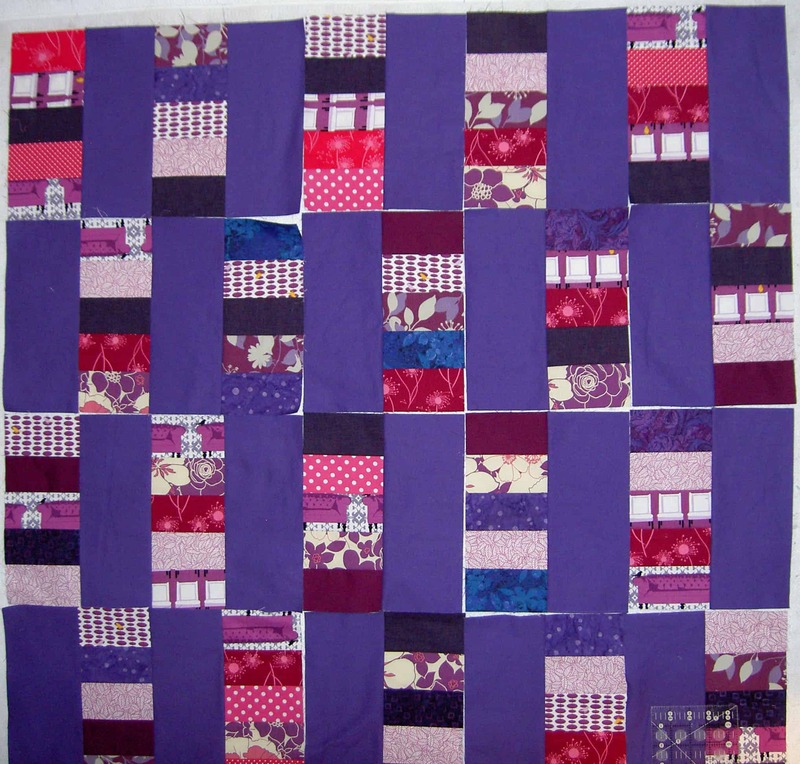 It could be I just don’t like purple enough to make more purple quilts.